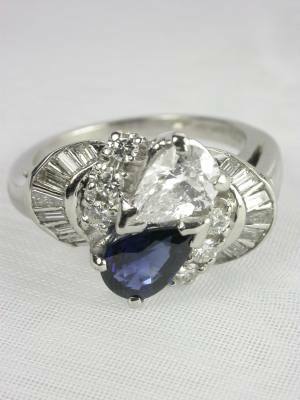 Two pear shaped stones -- a blue sapphire and a white diamond -- create the charming design of this 1960's vintage ring. 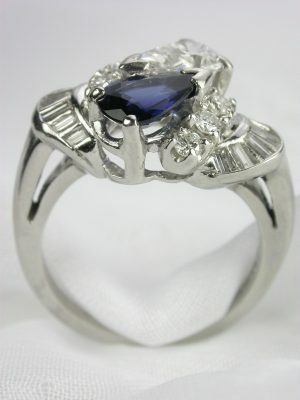 In this vintage engagement ring, the elegant pear shapes of blue sapphire and white diamond are further accented by a glittering diamond array. 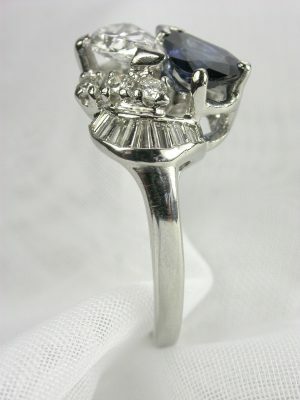 Six round full cut diamonds and 14 tapered baguette diamonds are artistically arranged at the top of the ring's shoulders. 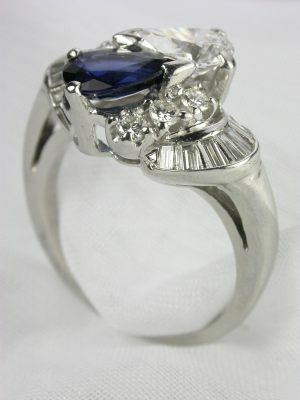 The sapphire weighs 0.67 carats and the total diamond carat weight is 1.25 carats. 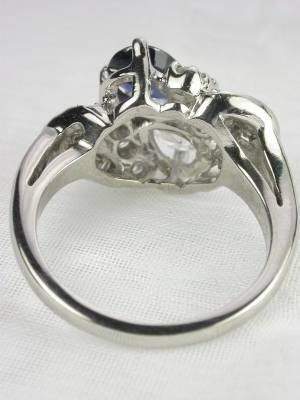 This vintage engagement ring is in platinum and is circa 1960s.